Shew. What an up & down week. Monday was pretty average. Tuesday was pretty amazing :) I went to SCM Dinner and we celebrated my belated birthday (since it's my first SCM since my birthday). Shew and I got very spoilt. 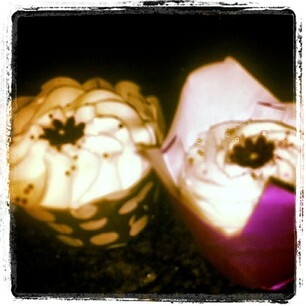 Delish dinner, amazing cupcakes and presents! I got the snackwich machine I've been asking for for ages ... which means I can finally make this :D And all sorts of other good things I've seen on Pinterest. And grilled cheese toast again ... my oven's grill doesn't work and I never got it fixed because I was gonna re-do the kitchen ... and well, that never happened. And now we're moving. Which probably means the new place's oven grill probably does work. But anyway. And I got these amazing prints (if they didn't roll up automatically, I would've taken a picture!) for Joburg and Cape Town. I adore them :D (Makes note to self to try and get a decent photo once we've moved). There was more exciting news tho, I finally bought my Kindle cover as a birthday present from Mom. And it arrived on Wednesday and I LOVE it! Yesterday I headed off for a doctors visit. Off to see a specialist about getting these fibroadenoma removed. They've gotten too big. So yes, I will be scheduling surgery. Eep. Which will include a general anesthetic. I've never had that before. And I haven't been in hospital in about 25yrs. Anyway, I'm not too worried about it. Will be more pleased to have these lumps gone! Oh, and the move is in full swing. We're hoping to officially be moved into the new house by the end of this weekend - eep :) So exciting!